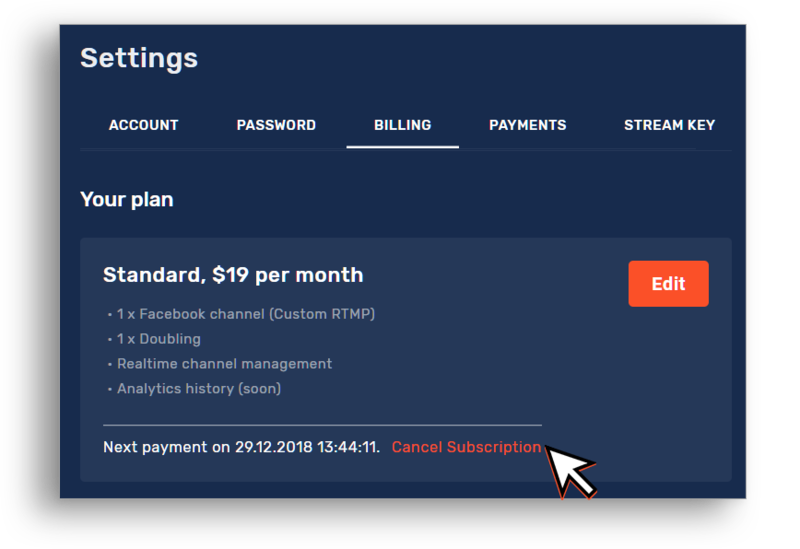 If you are considering canceling your subscription - there is an easy way to do it, you can use this link or go to your account billing section, then click "Cancel subscription" on your subscribed service. 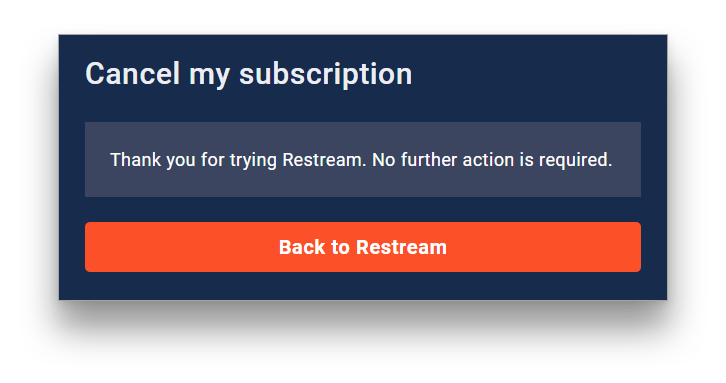 You will get a message there are no additional actions required and you successfully canceled the subscription and can go back to restream. 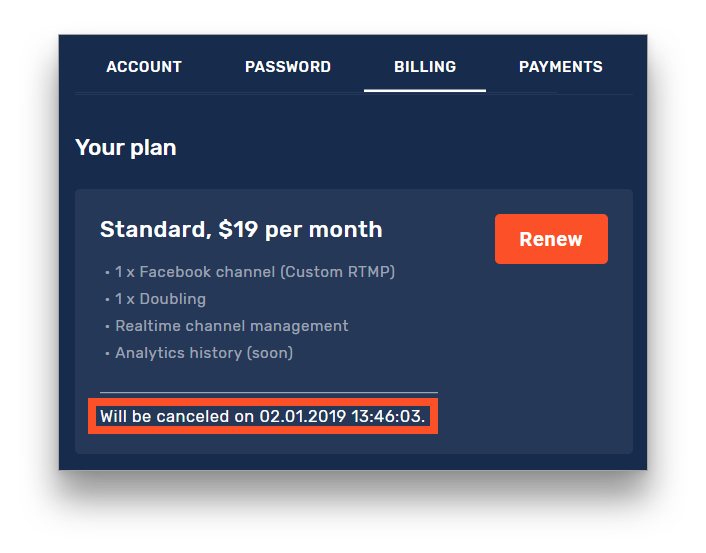 Notice: Your canceled subscription will last until the end of the paid period, but you will not be charged after. 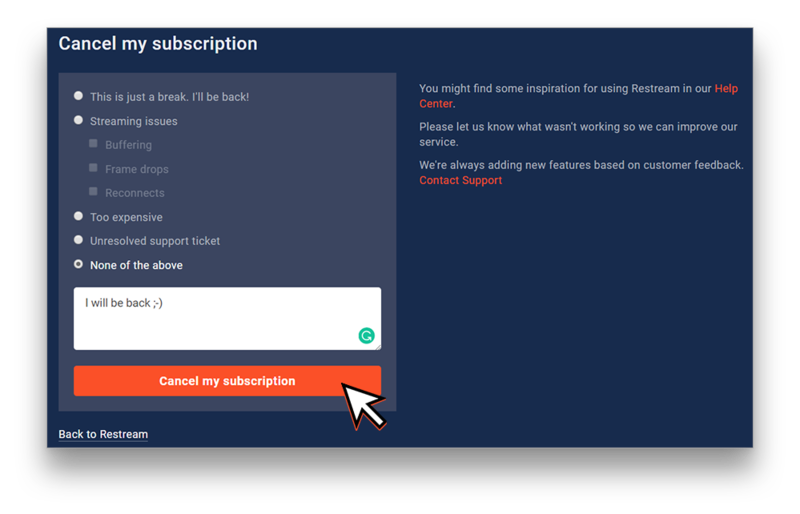 You can see the date till which function is still available, as well a button to renew the subscription. You can also learn how to manage your subscriptions here.